By Katie Behrens. Aug 24, 2015. 9:00 AM. There is no limit on the subjects worthy of a special library collection – comic books, calligraphy, automobiles, you name it. 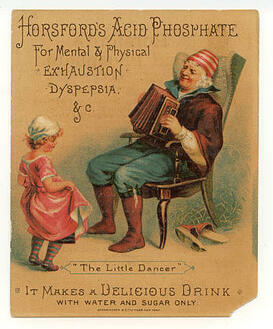 But there is something extra special about medical library collections. Medical knowledge has changed drastically in the past 500 years or so, and to see that history with your own eyes can really knock your socks off. The New York Academy of Medicine Library is a phenomenal institution that aims to preserve medical history and make it just as relevant to audiences today. The NYAM Library was established in 1847 and opened to the public in 1878, but was recently invigorated with new blood (so to speak) when it combined with the Center for the History of Medicine and Public Health in 2012. Like many special libraries, it was created to serve a select group of people in their work; in this case, the NYAM fellows and medical professionals. It all started with the donation of a three-volume set of Martyn Paine’s Medical and Physiological Commentaries. The collection grew mostly through donations and gifts, gradually turning towards historical texts in focus. When the Society of the New York Hospital chose to dissolve its library in 1893, the NYAM Library received a whopping 23,000 books for its collection. 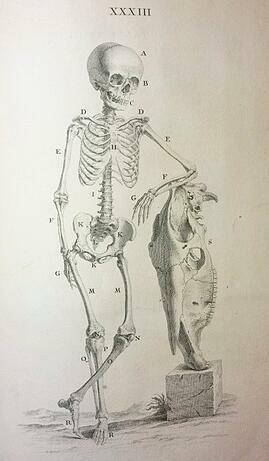 Another major acquisition came in 1928 with the purchase of a very fine private collection of rare medical texts. What kinds of items might a medical library have? All sorts! The NYAM Library has textbooks and medical journals galore, but also medical association records, research on the representation of medicine in art, pharmaceutical trading cards (apparently that used to be a thing), antique medical instruments, an impressive collection of cookbooks, and the two items of particular rarity: the Edwin Smith papyrus (oldest known surgical document in the world) and a prototype of George Washington’s wooden dentures. All told, there are approximately 550,000 volumes within the library’s holdings, including around 85% of the medical materials printed between the 16th and 19th centuries in North America. With such a comprehensive collection, the library is only open to the general public by appointment. That certainly doesn’t mean that all those materials are hidden away – the NYAM Library holds special events, lectures, even a Festival of Medical History and the Arts. This year, the library has chosen to focus on the history of food, eating, and health (leveraging that great collection of cookbooks and related material). In addition, the Center for the History of Medicine and Public Health, of which the library is a part, maintains an active and fascinating blog. Topics range from the proven dangers of corsets to the origins of sweat. It’s not just historians who benefit from having access to historical medical materials. Medicine is full of mysteries, even today, and it’s very possible that the past can save someone’s future.